Whether you're looking for an apartment or to fill a vacancy, Rentals Online is your Apartment Guide for Arizona. Find out more about listing an apartment and having tenants view your Arizona rental in our results. Rentals Online is dedicated to building a community of renters, landlords, rental agents, and property managers throughout Arizona, and the nation, so communication and commerce can be quick, inexpensive and competitive. 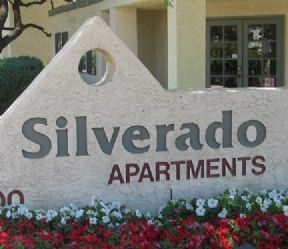 With the Rentals Online Arizona apartment guide, both seasoned residents and those new to Arizona, can find an apartment quickly and conveniently. Property owners and managers can now show Arizona rentals without paying enormous fees. Arkansas offers many attractions for people who enjoy outdoor adventures or want to take in its natural beauty, as seen in the state's waterfalls, cavern tours, wild caving experiences, forested mountain trails and scenic drives. The state is home to the Ozarks National Forest and the Ouachita National Forest. Many visitors even come to dig for diamonds that you can actually keep. While renting in Arkansas you may consider a trip to Fort Smith National Historic Site or Hot Springs National Park. A few of the largest employers include Wal-Mart Stores, Inc., Tyson Foods and Baptist Health. The state also has many non-profit organizations for residents looking to get involved or offer their skills to valuable services. Little Rock, Fayetteville, Fort Smith, Springdale are among the largest cities and are easily assessable. Little Rock is the state�s capital city and located in the center with several large highways intersecting it. The city is home to an Air Force Base and a campus of the University of Arkansas. Fayetteville is where you will find the University of Arkansas main campus and is one of the fastest growing cities in the state. Also Arkansas is only a few hours from Dallas, St. Louis and Memphis, convenient for a get away to a bigger city experience.